Kingswood is a specialty coffee bar dedicated to producing delicious coffee and having a fun & friendly place for staff to work & customers to enjoy. Building relationships and creating a sense of community in the CBD is paramount, sharing appreciation, knowledge and general banter are some of the things that make us different. 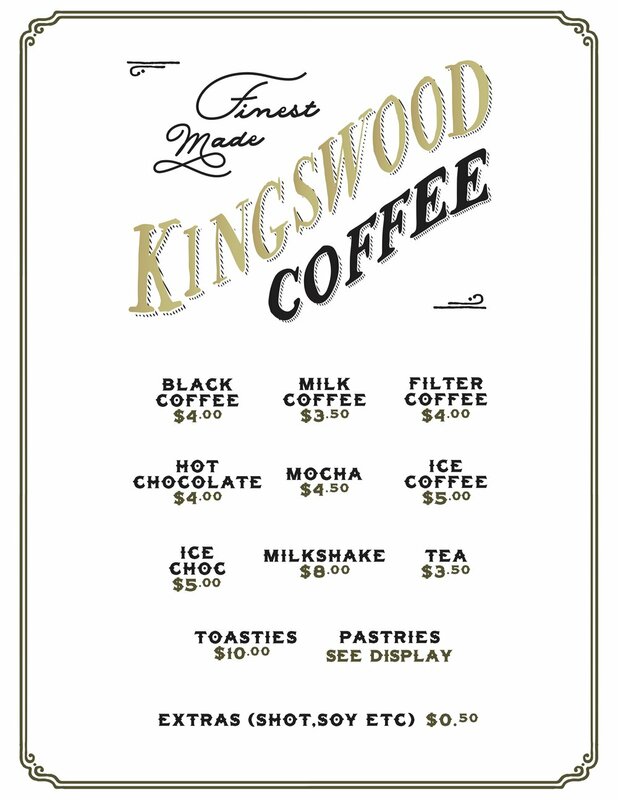 With a limited menu, Kingswood is partnered with Sydney's best suppliers of bread, meat, cheese & pastries to accompany our premium coffee.